IMI Flow Design owns many patents, including several for constant flow regulators. IMI Flow Design (FDI) products rely on stainless steel for all parts that flex or slide. Many competitors depend on rubber (which is chemically and mechanically far more sensitive) in critical dynamic elements of their regulators. IMI Flow Design’s patented consolidated ports and patented hybrid ports provide the best chance in the industry for debris to pass through without causing a problem. 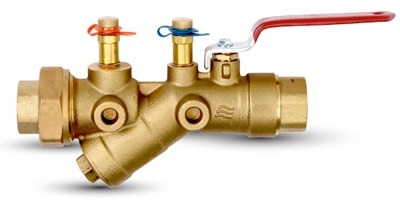 Several patented IMI Flow Design technologies improve performance at low differential pressure, thus saving energy as compared to the competition. IMI Flow Design uses thicker metal than competitors to provide a more durable product. All IMI Flow Design regulators are precision machined and skillfully assembled in a process that includes continuous flow testing to eliminate errors.